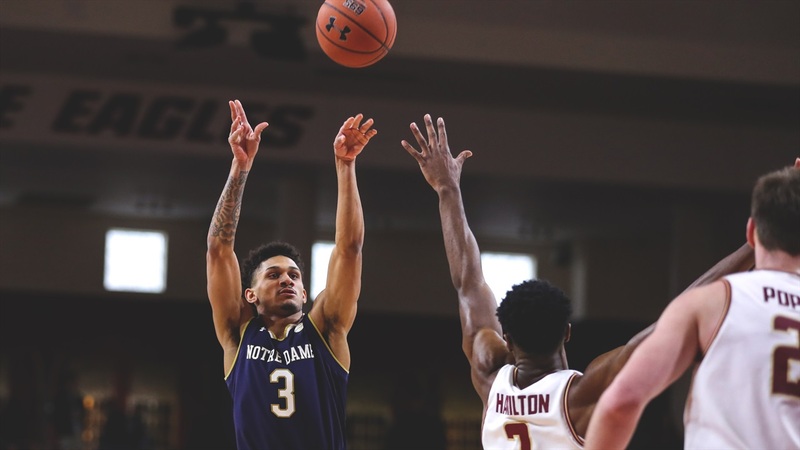 Notre Dame ended a five-game losing streak on Saturday afternoon with a 79-73 road win at Boston College. Junior Nik Djogo scored a career-high 21 points on 7-for-10 shooting to lead the Irish but he wasn’t alone. Junior TJ Gibbs scored 19 points and eclipsed the 1,000-point mark for his career. Freshman Prentiss Hubb scored 16 points and dished out four assists. John Mooney recorded his eighth consecutive double-double with 15 points and 13 rebounds.